Ethics and transparency in government was the topic of the April Polk County Republican Women’s meeting. Kendra Mills Arnold, the general counsel for the Foundation for Accountability and Civic Trust (FACT) was the guest speaker on Thursday. Founded in 2014 by Matt Whitaker, FACT is a non-profit government watchdog organization committed to openness, accountability, and ethical conduct. Kendra said that campaign finance, use of taxpayer dollars, and conflicts in personal financial interests of elected officials are the most common areas scrutinized by FACT. She used Congressional staffers working on campaigns as an example. She said that it is illegal to be a staff member while simultaneously holding a fiduciary interest (ie as treasurer of a campaign), or to work on a campaign at the same time that a staffer’s salary is being funded by the taxpayer. The 2016 Election has perhaps been the most interesting in terms of ethics, said Kendra. “When it comes to Hillary Clinton’s ethics, I could go on for about an hour!” She said that Clinton’s email scandal and conflicts surrounding her super PACs and the Clinton Foundation violated many ethical standards. 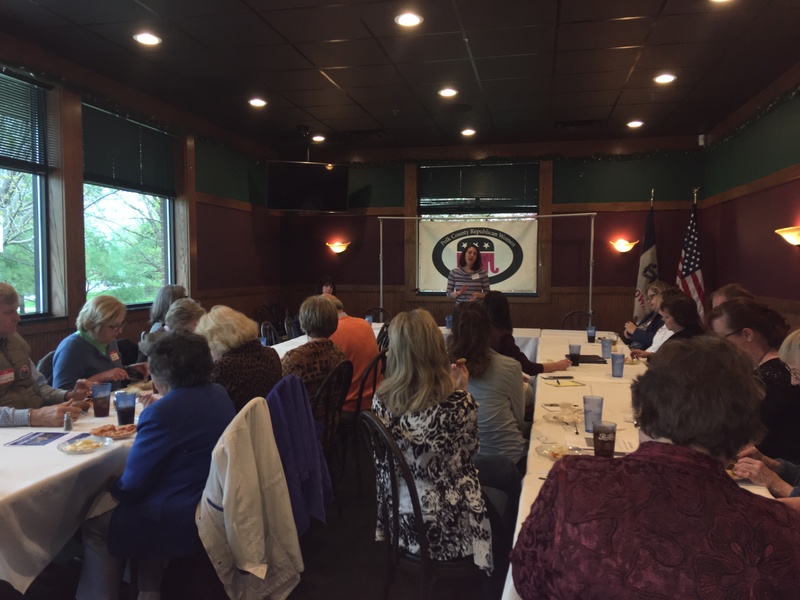 The Polk County Republican Women will meet again at 6:00 PM on May 18th at Crossroads Shooting Sports in Johnston, with a presentation by Barry Snell, the President of the Iowa Firearms Coalition.